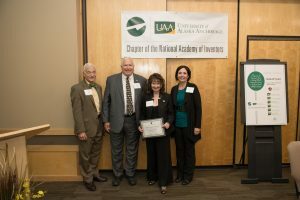 The University of Alaska Anchorage launched Alaska’s first chapter of the National Academy of Inventors last month. They held an inauguration celebration that included speakers, a panel discussion and an induction ceremony of the chapter’s first members. This program was recorded at the University of Alaska Anchorage on Friday, September 28.